1. Sancta Dei Genitrix 6:39 min. 2. Mater Ecclesiae 5:23 min. 3. Advocata Nostra 5:41 min. 4. Benedicta Tu 6:39 min. 5. Causa Nostrae Laetitiae 6:33 min. 6. Auxilium Christianorum 4:04 min. 7. Regina Coeli 6:52 min. This unique and amazing new recording features Pope Benedict singing or reciting hymns and prayers to Our Lady accompanied by The Vatican Choir. His Holiness uses several languages in this recording including Latin, Italian, French, all recorded at St. Peter’s Basilica or during his Papal trips abroad. The album also features classical music by an international group of composers performed by the Royal Philharmonic Orchestra at London’s Abbey Road studios. Hymns include Regina Coeli, Mater Ecclesiae, Sancta Dei Genitrix, Benedicta Tu, Advocata Nostra and more.
" I am convinced that music really is the universal language of beauty which can bring together all people of good will on earth"
This combination package includes the CD, and a moving new exclusive documentary produced about the making of this inspiring music album titled "The Making of a Masterpiece". It includes footage of Pope Benedict on his Apostolic visits, praying and singing some of these hymns to Our Lady, as well as footage of the great Vatican Choir singing these hymns in St. Peter's Basilica, with the glorious music from the London Philharmonic Orchestra. A wonderful set of the CD and the DVD of this memorable music production with Pope Benedict XVI, the Vatican Choir and the London Philharmoic Orchestra. A special deluxe limited edition Collector's Set of an exclusive coffee-table size hardcover book with beautiful color photos of Pope Benedict XVI praying and singing in honor of Our Lady as he travels to various places on his Apostolic visists, as well as in Rome. Plus photos of the others involved in the production of this glorious album, the Vatican choir and the London Philharmoic Orchestra. 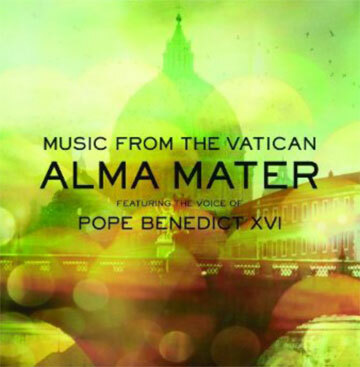 The book includes the text of the songs on the album and other text about this unique music production with Pope Benedict and the vatican choir. The book, DVD and CD come together in a lovely case. A very limited number of this special edition set is available. "Refugee from Socialism - Record Album"